Stupid Heart Rhythms: February is Heart Month. Again. February is Heart Month. Again. February is here again. And you know what that means! It's time for every orthodontist's office and mommy blogger to post a picture of a crappy EKG on the internet and tell you to eat healthier. It is a little known fact that they picked the shortest month of the year to be heart month in order to reflect how much normal people actually care about heart month. February also marks one whole year that this blog has been in existance. 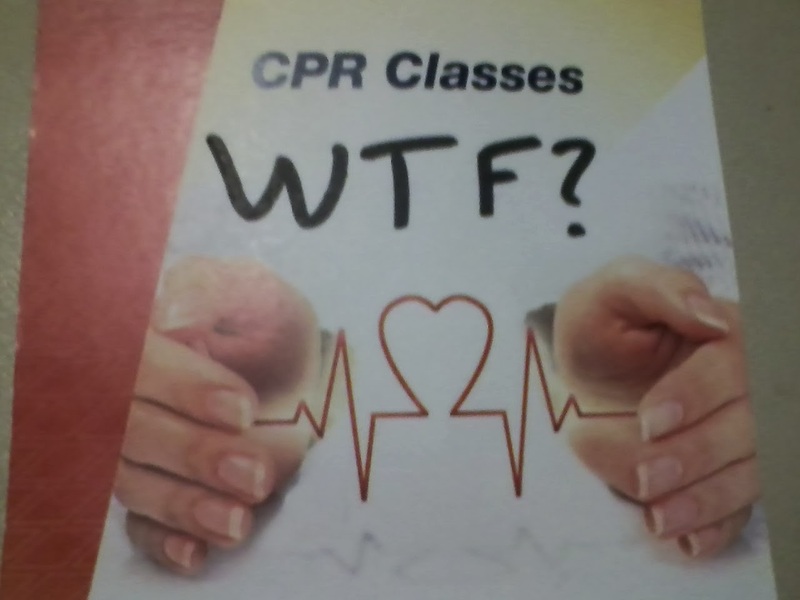 It all started when I walked by the bulletin board at my part time job and noticed the dumbest fake EKG I have ever seen being used to advertise CPR classes. The irony left me dumbfounded. And so I began writing. I wrote what every medical professional thinks when they see these crappy billboards, book covers, TV commercials and advertisements. These things make no sense. No one on the marketing team had a friend, who had a friend who could have taken a look at this prior to publishing? Maybe it doesn't matter. I mean, they got away with making ice sink in the GI Joe movie. The writer, director and graphic editors of this movie have never drank a f*cking glass of ice water. I'm no cardiologist. I'm just a podunk, backwoods, rural paramedic who knows how to read a book. I'm not even particularly good at reading EKGs. I can get by and I know a few tricks, but if you show me an anterior posterior bifasicular hemiblockazoid I won't know what the hell I'm looking at. Only one paramedic on Earth can do that; his name is Tom Bouthillet and he works for Zoll, so you might imagine how well we get along. And although Bouthillet and I may not be hanging out together at Starbucks talking about how awesome Zoll monitors are at holding paper down and nothing else, I have met a few people over this past year that I do get a long with. Anna at the Days When I'm Not a Nurse blog was the first person I met through this project. She is an RN in Boise who kindly let me use a picture of her holding an EKG improvised from candy cane reindeer antlers in my EKG primer (I cannot remember what exactly I googled to find that). If you click the link above you will be taken to a contest she is currently holding wherein participants name frosting EKGs on sugar cookies. Now that's the right way to celebrate heart month! RJ Beam over at Callthecops.net asked me to do some investigative reporting for his website, which chronicles the most pressing issues facing the emergency services industries. In fact, I am told another of my articles will be hitting the newsstands today, profiling one of the up and coming young minds in the fire service. Stay tuned for more updates. And finally, I recently had the pleasure of writing a guest post for Jordyn Redwood on the Redwood's Medical Edge blog, which was also published today. Jordyn is an RN and author who maintains a blog giving other authors guidance on medical topics for their writings. Her mission seems similar to this blog - dispelling medical myths - albeit her approach is slightly more professional and socially appropriate than mine.